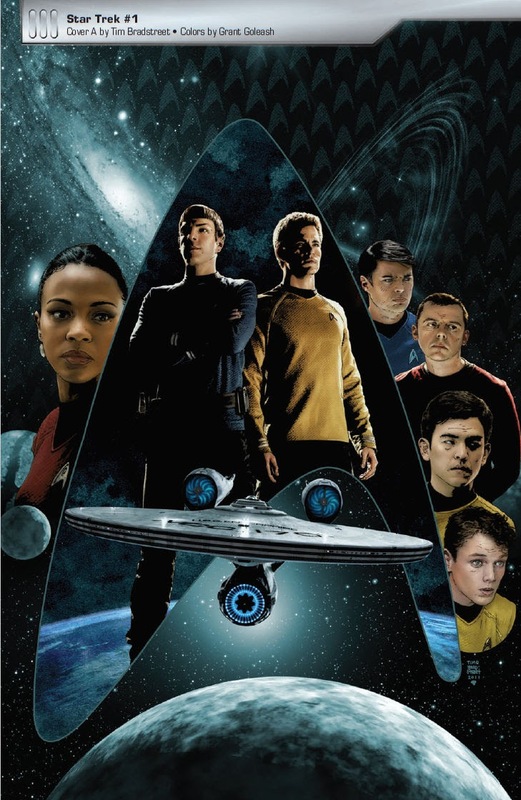 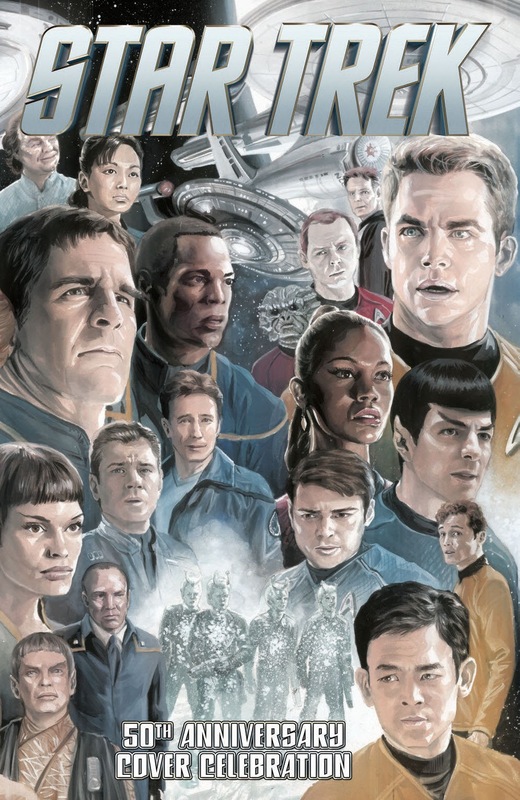 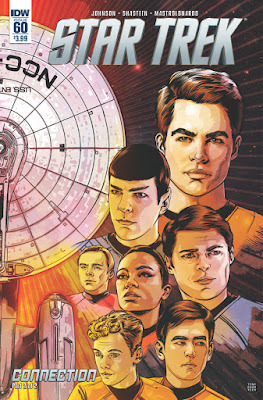 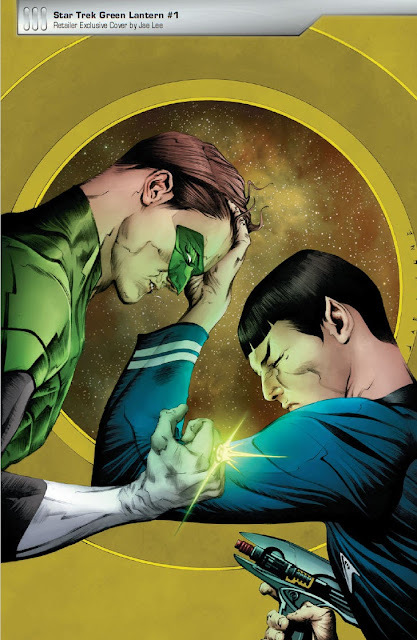 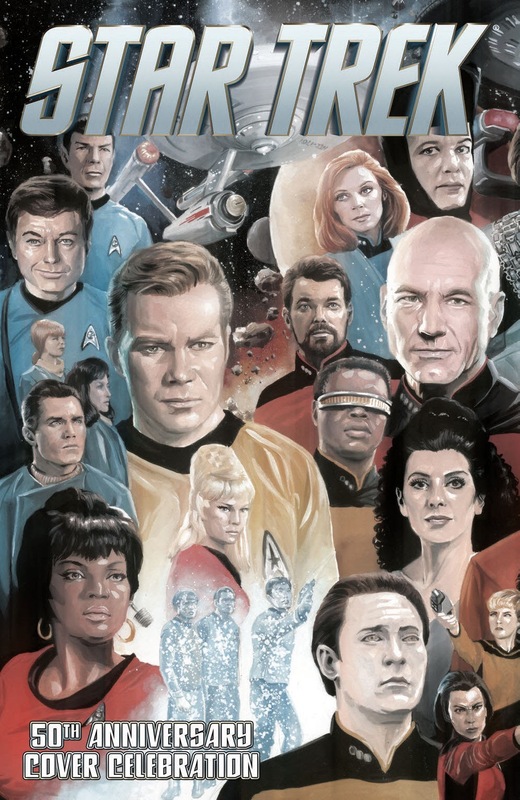 IDW's latest Star Trek comic releases include the final issue in the Kelvin timeline ongoing series, and a special cover gallery book to mark the 50th anniversary. 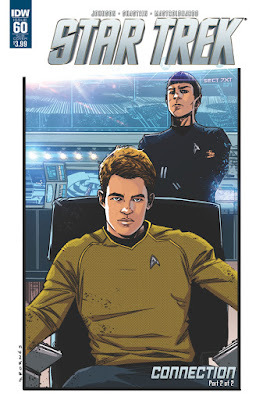 Continue below for previews of both. 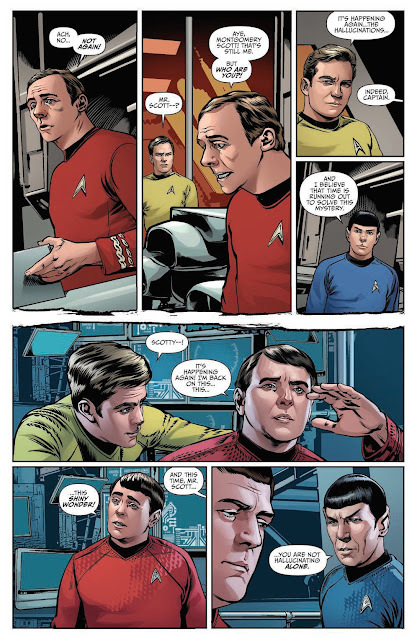 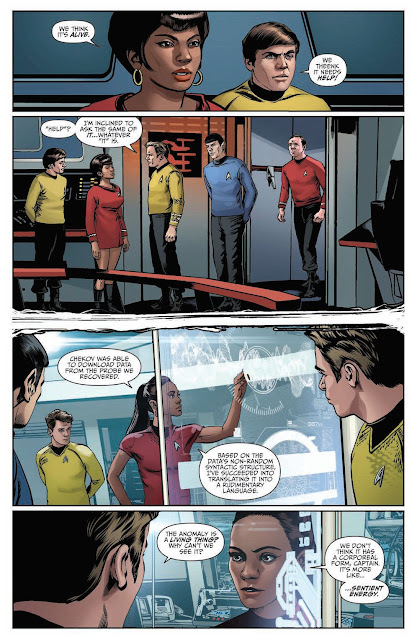 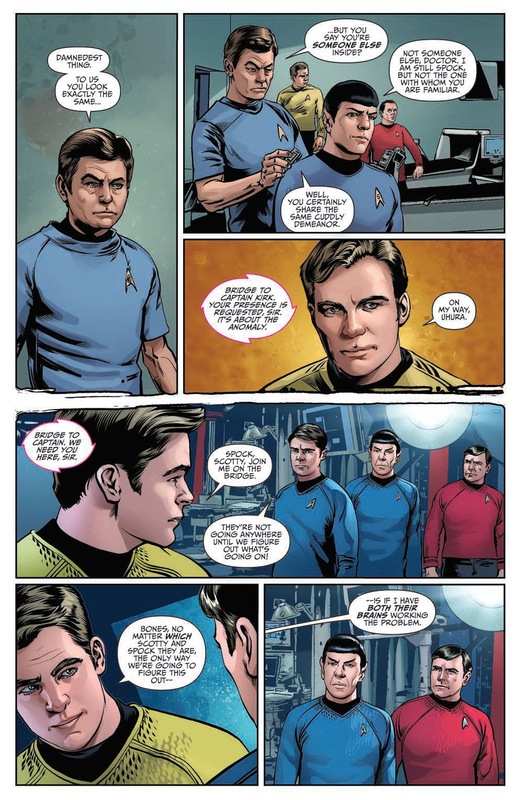 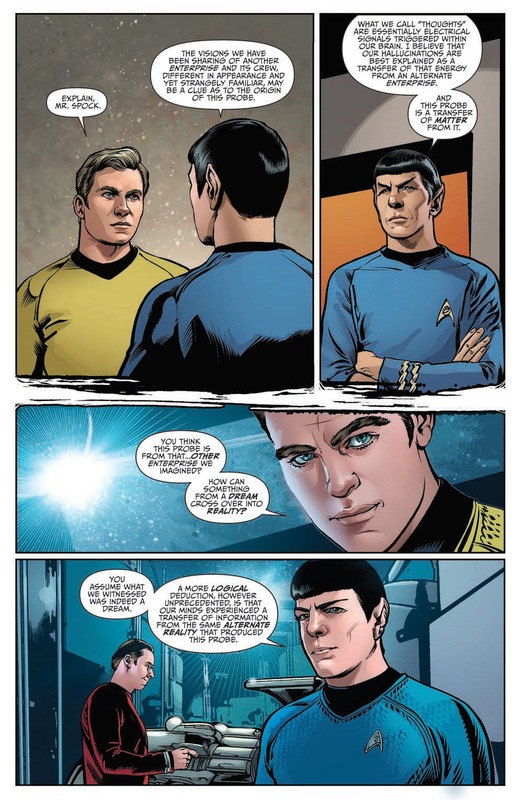 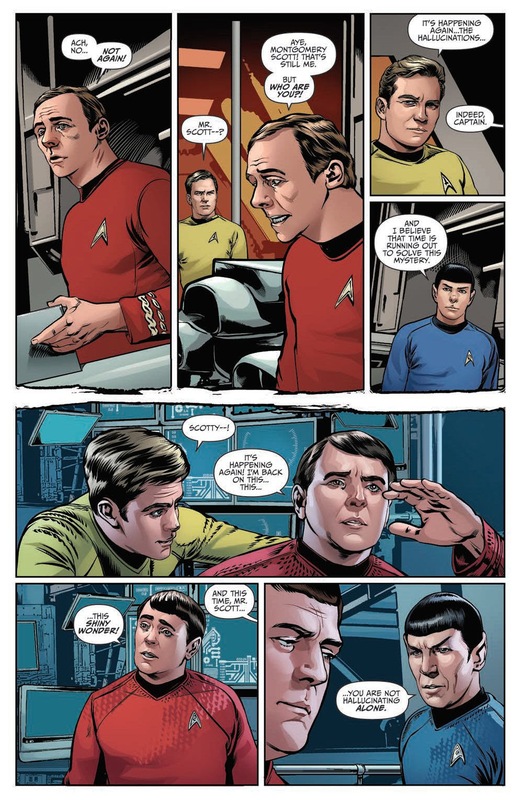 Issue sixty of the ongoing comic series completes the ingenious TOS/nuTrek corssover story Connection, continuing the split-page style of the first half of the story. 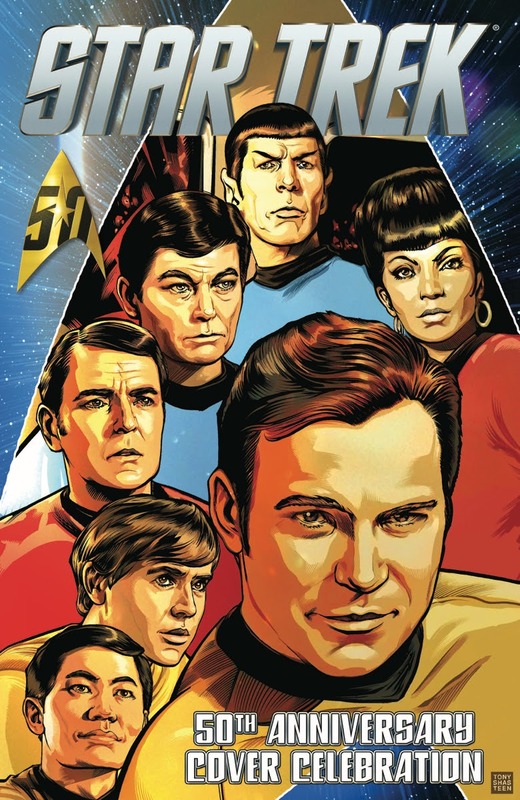 This is just about as perfect a way to end the series and mark the 50th anniversary as you could get, and comes after a run of some of the strongest stories in the series. 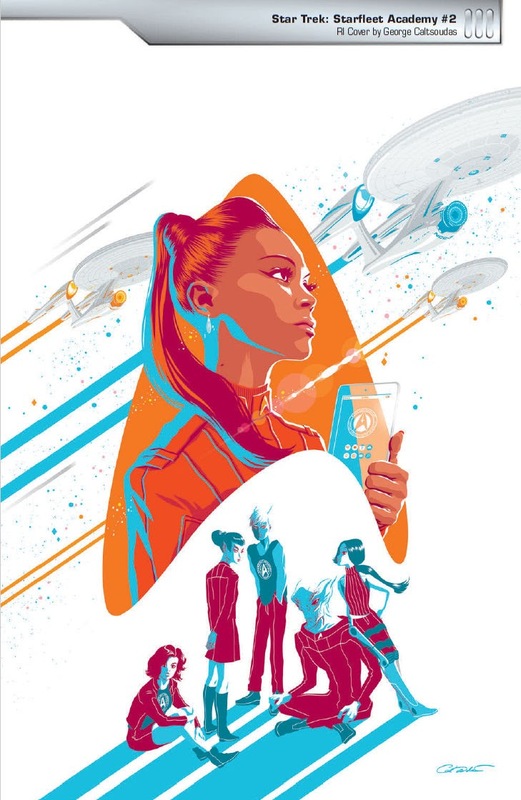 Hopefully the relaunched Boldly Go series, picking up events after Star Trek Beyond, will continue that line of great story telling. 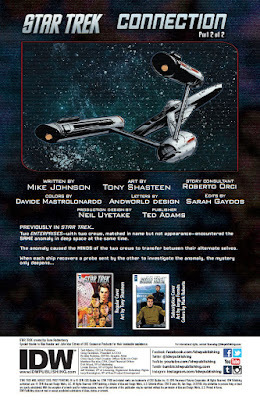 As ever the issue was written by Mike Johnson, and features the art of Tony Shasteen. It is available in two covers, with the main Shasteen cover completing the diptych from the previous issue. The subscription cover is by Jorge Fornés, with colour by Mark Roberts. The other recent release is the 50th Anniversary Cover Celebration, a book which showcases some of the Star Trek comic covers. 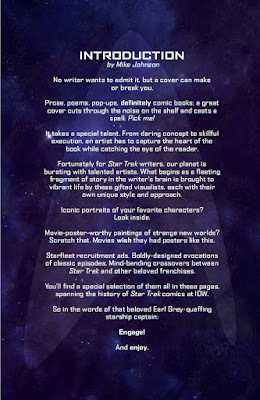 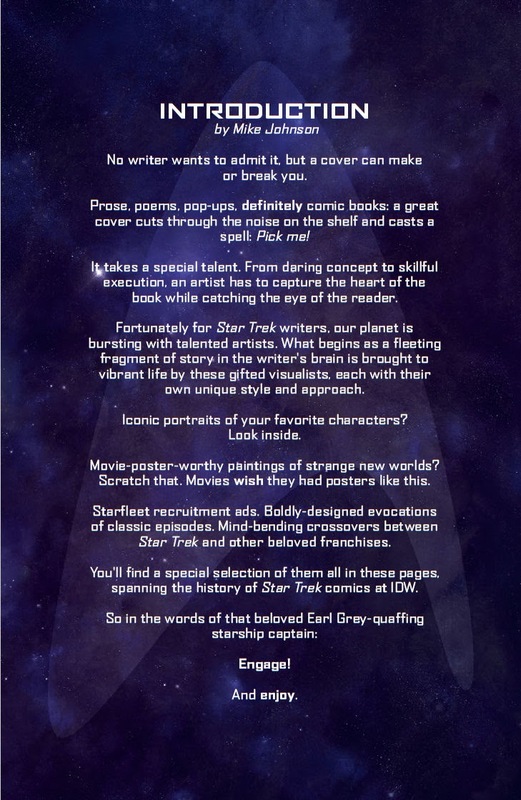 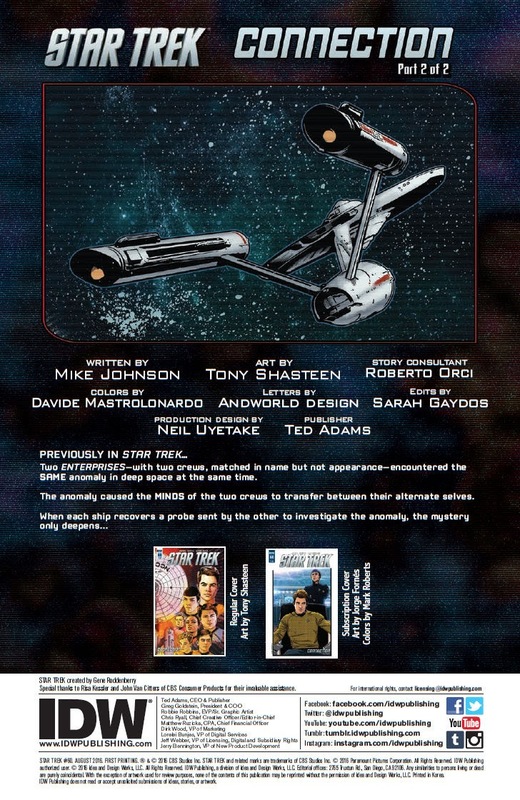 The book features a wide range of cover art from many of IDW's Star Trek books, plus a few Gold Key covers, and one from the Wildstorm days. 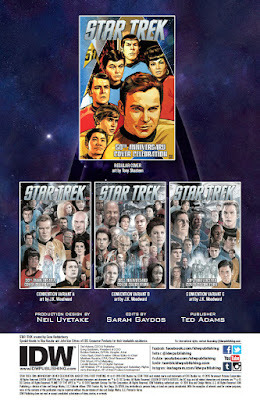 The book itself is available in four covers. 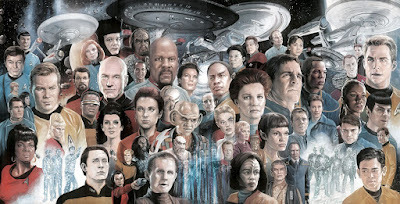 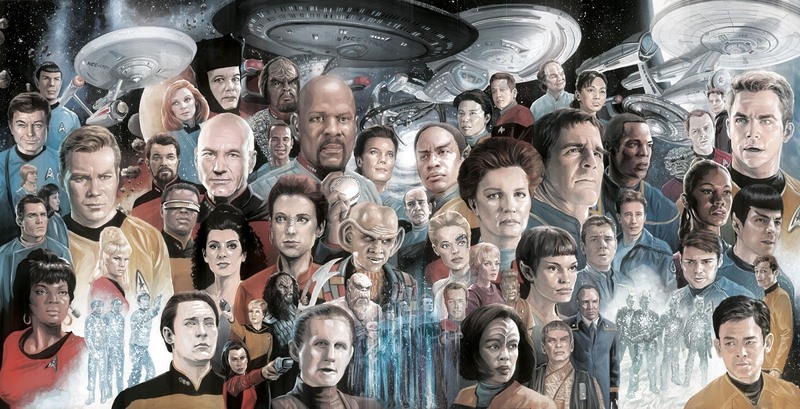 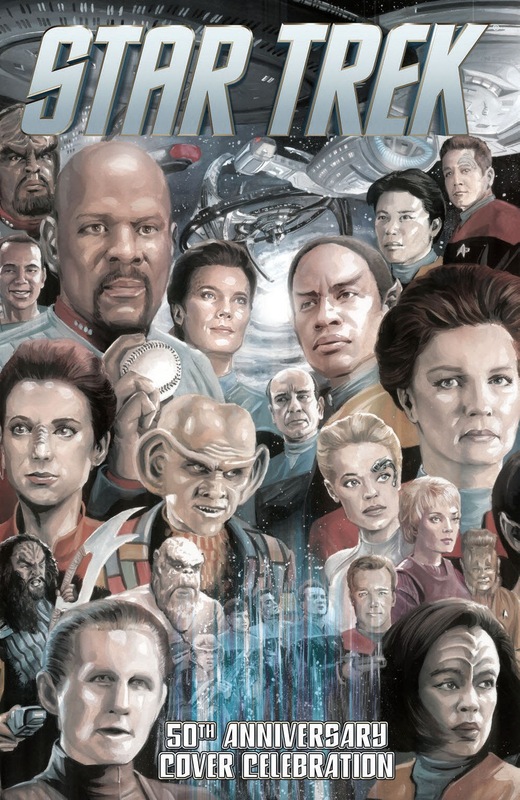 The main one is another Tony Shasteen piece, while the other three are all by J.K. Woodward, forming a triptych which features prominent characters from the entire on-screen Star Trek multiverse - The three triptych covers are going to require some hunting, as they are convention exclusives, available in an edition of 250 a piece at the Star Trek Las Vegas convention, Star Trek: Mission New York convention, and the New York Comic Con. And here's the full original artwork. 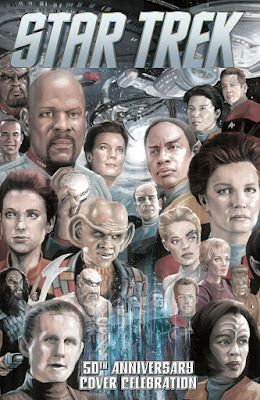 Artist J.K. Woodward has posted a process blog looking at how he created the piece. 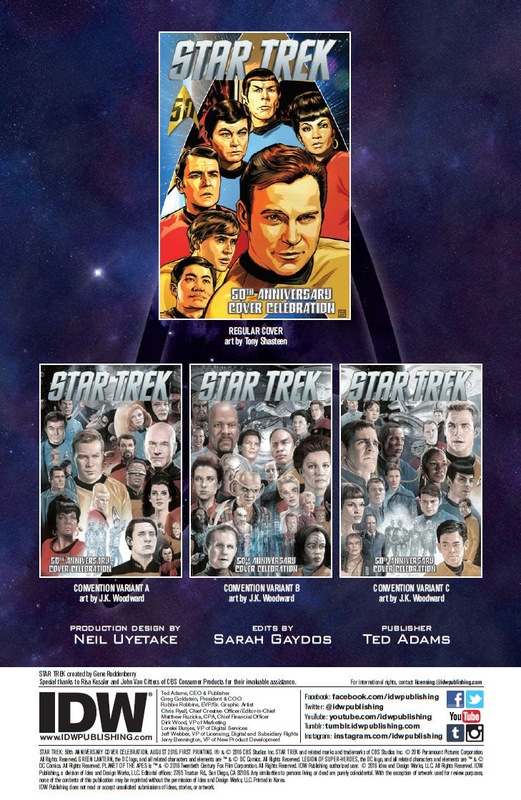 You can continue checking out the rest of the covers by picking up a copy at your local comic book shop, or from online retails like these: Amazon.com, Things From Another World, Forbidden Planet, iTunes. 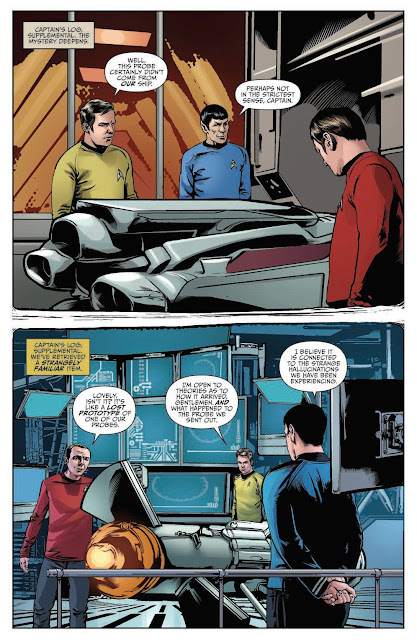 You can find reading lists for several Star Trek comic series on my Trek Collective Lists site, including a full listing of issues in the nuTrek ongoing series. 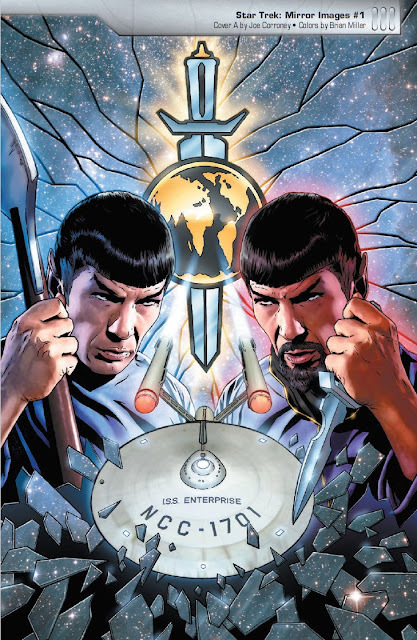 To keep track of all the latest Star Trek comic releases, hit the comics button on my 2016 schedule pages. Andorians coming to Star Trek: Discovery?